Marc Martin was an associate director for the UH bands before his resignation last spring. University officials say an investigation determined Martin "participated in inappropriate behavior with multiple students." 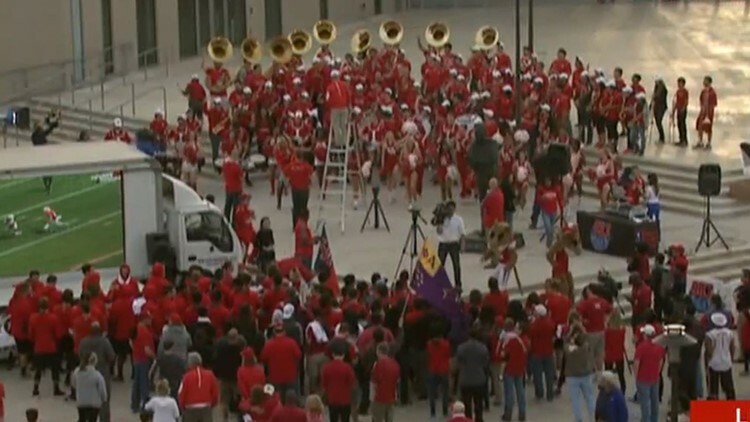 HOUSTON — An associate band director at the University of Houston resigned before the school could fire him for inappropriate behavior with students, the university confirmed Friday. Marc Martin was an associate director for the UH bands before his resignation last spring. The investigation did not conclude criminal charges were warranted, according to UH officials. "The University conducted a thorough investigation and determined Mr. Martin participated in inappropriate behavior with multiple students," UH executive director of media relations Mike Rosen said in an email to KHOU 11 News. "He resigned prior to termination proceedings being finalized and is not eligible for rehire. The University does not tolerate behavior that threatens the personal rights, safety or wellbeing of our campus community. There are no exceptions. The University encourages reporting of any potential wrongdoing."